The Framework Partnership Agreement (FPA) describes the HBP's overall work plan for the duration of the Project. It details the Project's main objective of creating an enduring scientific Research Infrastructure, describes how this and the HBP's other aims will be achieved, and sets out how the Project will function in terms of governance and the transition to becoming a Legal Entity. The FPA was signed on 30 October 2015 by the European Commission and the HBP Coordinator (EPFL) on behalf of the HBP Consortium. An updated version of the FPA (FPA Amendment One) was signed on 13 July 2016. 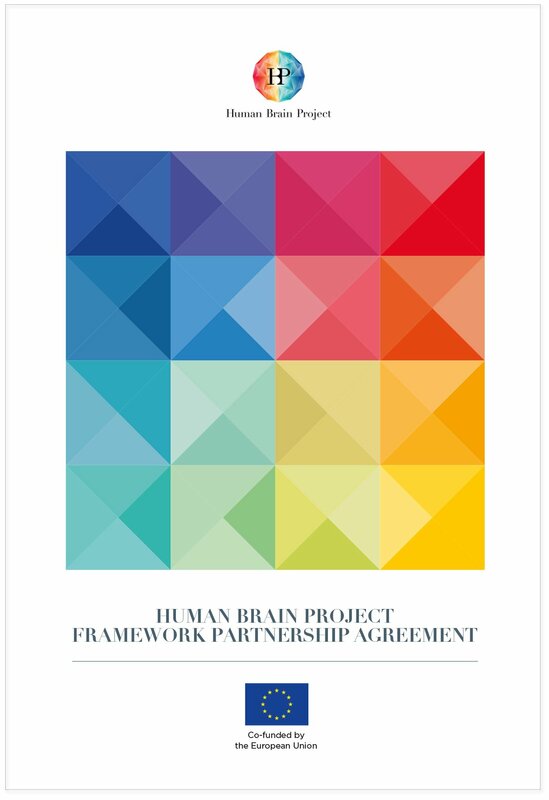 The purpose of this was to update the list of HBP Partners and to provide up-to-date information on the Project, such as changes to SP3 (Systems and Cognitive Neuroscience). A second amendment to the Framework Partnership agreement was signed on 31 January 2017 and is available for download below. This amendment added a new partner, added a linked third party and made changes to Annex 1 of the FPA.